Based on European standards of training and care as established by ESGO. 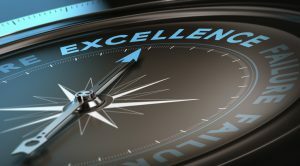 ESGO provides supervision for accredited training, and has been running hospital recognition for excellence in training and care while accrediting centres across Europe. The centres ESGO accredited as European Training Centres in Gynaecological Oncology are authorised to provide certified training. As of Sep 2016, ESGO has set new rules for the application process of hospital accreditation for training in the subspecialty, since the prerequisite of accreditation for basic training in obstetrics and gynaecology is not required anymore. Interested to be part of the growing network of ESGO accredited centres for training in the subspecialty? Provide the highest degree of teamwork and concentration of resources for the intensive investigation and management of patients. Establish a formal training programme according to the requirements of national bodies. If the national training programme does not exist, the centre should follow the European standards as defined in the ESGO Subspecialty Training Programme and Logbook. Have an adequate workload providing a full range of experience in the subspecialty. Have an adequate medical staffing. Provide adequate library, laboratory and other resources. Provide the resources for a research programme related to the subspecialty. Check out if you are eligible and start the process ! Starting January 2018, the ESGO hospital accreditation fee is 500 Euro. In addition, training centres who wish to become recognized are asked to pay for travel expenses and hotel of the visitors.  Claim form together with original bills are sent to the visited centre by visitors directly. 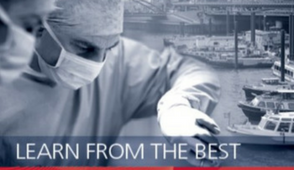 Are you an accredited centre with trainees currently in training? Get these records on the ESGO Accredited Training Registry! Fill out the below form and report these records to the ESGO Administrative office once the trainees finish their fellowship. Accreditation is valid for 5 years, followed by re-accreditation. In principle, re-application follows the same procedures as the first application. Accredited centres should apply for re-accreditation 6 months before the original accreditation expires. The re-applying centre should provide a list of fellows trained during the accredited period. 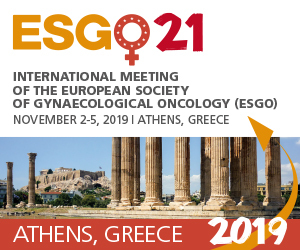 "ESGO stands for care for women with gynaecological cancer and takes all efforts to maintain good standards all over Europe. ESGO hopes and expects that centers, which train our new generation of gynaecological oncologists, will proudly show their commitment to training by ESGO accreditation. 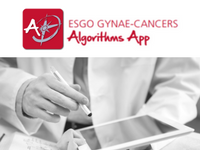 Equally, ESGO will thus help our new generation of gynaecological oncologists to provide a hallmark of good care." National Medical Research Center of oncology named after N.N.Petrov is one of the largest Federal Scientific Oncology Clinic of Russia. The National Medical Research Center is the first in the Russian Federation to be awarded the prestigious Accreditation of the European Society of Gynaecological Oncology (ESGO) as the European Centre of Gynaecological Oncology. The ESGO accreditation testifies to the highest standard of cutting-edge medicine, facilitates the exchange of experience with international medical centers as well as makes for top-level clinical research and experimental treatment in the fields of chemotherapy, radiotherapy and surgery of patients with the female reproductive system cancer. The Gynecologic Oncology Service, Department for Woman and Child Health, Policlinico Universitario A. Gemelli, IRCCS, Catholic University of the Sacred Heart in Rome, Italy, has been accredited as European Training Centre in Gynecologic Oncology on April 19, 2018. This important result has been obtained after rigorous review of number of cases treated per year and hospital facilities for patients and doctors, from representatives from ESGO (Prof. D. Haidopulos) and from ENYGO (Dr. K. Zawleski). As a consequence, four positions for fellows in gynecologic oncology have been opened, starting on this year and lasting for five years. This acknowledgment is particularly important in Italy, where, differently from other countries in Europe, no fellowship or subspecialty programs have been designed yet. Thanks to ESGO, this training program will be the natural interface with Europe for the new generation of young doctors, working in an international network. Donostia Universitary Hospital is the reference hospital for the regional area of ​​Gipuzkoa in Basque Country, Spain. Our Oncology Gynecology Unit, formed by Drs. Lekuona, Cobas, Ruiz and Gorostidi, is the first in the Basque Country who has been accredited as European Training Centre in Gynecologic Oncology on May 2, 2018. This honorable accreditation is the result of a rigorous team work in the implementation of SEGO (Spanish society) and ESGO oncologic recommendations. As a result of that, Dr Jaunarena will be the first fellow of our hospital. 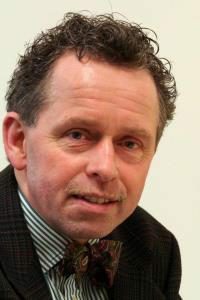 We want to thank the visitors Dr. Rychlik and Prof. Verheijen for his kindness and professionalism during the visit and we encourage other hospitals to immerse themselves in this true external helpful audit. Your hospital isn't yet an accredited training Centre? Already an ESGO accredited training centre for 4 years? Time to get ready to apply for re-accreditation!